The new year is a chance to start off with a clean slate, and an ideal time to leave all your emotional baggage and troubles behind you so you are free to make this year your best year yet. Life is a story, so why not start off the new year by creating a better chapter in your life, by designing your own life instead of living your life on de-fault settings. Many people dwell on their past and they sometimes convince themselves that the best years have gone by. But, when you start a fresh with the belief that your best years are still yet to come, then it can inject a new lease of life into you as you whip up that potent energy of positive expectation. Instead of just going through the emotions and accepting how it is, decide to be a bit more proactive, because we all have the power of choice. This means out with the bad and in with the good, so let your new adventure start here, because change leads to better things whilst stagnation leads to more of the same. Make it your goal to start doing all those things you've been meaning to do or make a start on all those personal goals you have been putting off. Write down all the things that you did not achieve and all the things that you did achieve last year, no matter how small, then write down what you would like to achieve this year. Life's too short for regrets, so begin the process of making all the things that you've always wanted to achieve, happen, but things cannot change until you decide to take full control and responsibility for your life. As each new year begins it presents us with an opportunity to make a fresh start, however, most people carry all their troubles and worries with them into the new year. How about exercising the choice of making this year more exciting, more fun and more about you, by deciding to be happy and to follow your dreams and ambitions. Make it your mantra, to make 2017 your best year yet, then do whatever it takes to turn your desires into a reality and adopt a healthier, stress free and worry free lifestyle and positive attitude. This year, discover and unlock the hidden abilities that you did not know you had, you have not got to rush out and do great things, start off small and those small things might one day turn into big things. Learn to forget your troubles and start to use your talent and power that lies within you to motivate and drive yourself to where you want to be. Set yourself a goal, because goals give us a purpose and they take us away from a run of the mill life of stagnation. Make a list of all the things that you would like to achieve, if you are setting goals be very specific. Ask yourself what do you want most out of your life? Then write them down on your list, and believe all of these things and more can be yours if you believe they can and you make the effort. Because when you believe that it is possible combined with the right positive mindset, then you will begin to discover that you can accomplish great things. So be specific with what you want. Let's say you want to make more money or lose a bit of weight. Don't just write down, I would like to make more money or lose weight. State how much money you would like or how much weight you would like to lose. This will give your mind a blueprint to follow, if you want to travel, make some plans of all the places that you would like to visit. It is OK to think about your mistakes and focus on why and where you went wrong so you can avoid making the same old mistakes again. You can spend a short time taking stock of your life and evaluating and reflecting on the past year and what you want to do and what you did not do. But soon your attention should turn to planning for a better year and strive to become a better version of you. Because you don't want to repeat the same mistakes or go over and over those same old negative, energy draining thought processes, worries and behaviors. But it is important to try and avoid thinking about anything that makes you feel upset or bad, because most of our problems arise because we are focusing on what we don't want. Very often a problem will resolve or a solution will be presented to you, when you forget to think about the problem. Therefore, it is better to focus on what you do want or doing things which is going to make you feel better. Often the answer to our worries and problems is doing and thinking the opposite to what has been making you feel bad or just letting it go. When we worry, feel anxious and feel stressed all the time or when we think negatively, we cause our physiology to become out of balance. Many people are stuck in a negative and physical state of stress and fear. To end this we all need to slow down and relax more. To feel better you need to stop fighting with yourself, your mind and your feelings so you can restore any imbalance in the body. So, release and let go of your painful past, enjoy your present, and plan for a better future. Many people start off the year by setting themselves new goals, and although it is important to have goals, your number one dominant intention should be for you to feel good. Because there is nothing more important for you than for you to feel good, and if you can practice feeling good without having a reason, then you will have given yourself the foundations for a happy and better life. The trick is not to allow outside circumstances and events to affect how you think and feel, as well as practicing staying calm in all those external circumstances that would normally make you react badly. Happy and successful people react differently to outside events, situations and challenges, they bounce back quickly from setbacks and they don't get too overly sidetracked or distracted by external influences. So, this year it should be out with any destructive and negative thinking, and practice thinking more positive and good feeling thoughts. Start to believe that you are good enough and worthy enough, then set your goals and stick at them, do more of the things that you want to do and follow your passion. Many people are unhappy and sad because they aren't doing what they would like to do or they are stuck in a situation that they are not happy with. If you are stuck or if you have a problem, ask yourself, what can you do to solve your problem, instead of thinking and being emotionally engaged in the problem. If there is a challenge you have to face, instead of focusing on and analyzing why things aren't working for you, ask yourself what can you do to make it work/happen. Although it is important to think about what you want, you still have to be careful not to become too obsessed or fixated on what you want. Otherwise, you will project the negative energy of desperation, frustration and not having. Very often because people try too hard or become too obsessed with what they want, they end up projecting the negative energy of what they don't want. Many people are dogged with fear and anxiety, the thing to be aware of with fear is, the more you dislike the things you fear and the more you want to avoid the things you fear. The more you will increase the fear, but if you can start to change your perceptions about all the things you fear. Including the fear itself, by teaching yourself to like and enjoy the things you dread. The same applies with worry and anxiety, the more you try to bury your worries or not to think about them. Because trying not to think about your worries increases the anxiety and stress. But if you, just leave your mind alone and you allow it to think the worry or fearful thoughts, the opposite happens and you will find the fear and stress will decrease. Bit by bit you will start to decrease and dissolve your fears and anxieties, when you are faced with a challenge, take a few deep breaths then do it, despite of how you feel. This year change from hoping, dreaming and wishing, to more action and doing. If you want to have the best year of your life and then continue having great years, then you first have to like you and love your life, without having any conditions or judgements attached. Because before you can attract the good things into your life and start creating exciting new possibilities, you have to feel those good feeling emotions on a consistent basis. Start to believe in yourself again, and give your mind clear instructions of what you want and how you would like to feel. This will mean making peace with yourself, so make it a habit, each morning and before you go to bed, to stand in front of the mirror and repeat ten times. Having a great relationship with yourself and to be at peace with the world is an essential ingredient if you want a better life. Make a year planner and on it start designing how you would like your great years to go, you can also create a vision board, remember it does not matter if you don't achieve all of your goals. Because it is all about, getting some positive momentum going and then keep moving in the direction of where you want to be. When you start planning and writing down all the things that you would love to do, don't try to work out or question the how you're going to achieve it, that is the job of the universe. This is also a time to cast aside on limiting beliefs or self doubts, if you have any limiting beliefs replace them with positive ones. Your job is to write down the life you would love and then take action on all the idea's and opportunities that come to you. Try to make your year balanced, because a lot has to do with how well you manage and maximize your time. You want to be productive and pro-active, but you also want to avoid overwhelm and trying to cram too much into your day. Make your life a combination of fun, rest time and action, you can also keep a journal so you can look back every now and again to see how far you have come, jot down any progress you have made, no matter how small, and give yourself a bit of praise. 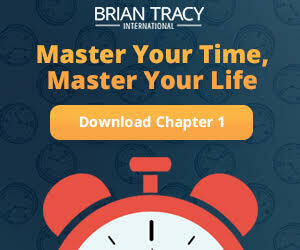 Master Your Time, Master Your Life - Discover the breakthrough system to get more results, faster, in every area of your life at BrianTracy.com. Get the FREE First Chapter - Download Now!